The Klang Association seeks new members for continued fun and funding of the historic boat. All members are volunteers and all proceeds are dedicated to the costs of the boat. School groups, private parties and special events are welcome. Please recommend joining the Klang to anyone having an event for 12 people as a gift membership. Please contact: Capt. Rip Hayman, 914-263-6716, riphear@aol.com . The Klang Association was formed in May 2000 to purchase, renovate and operate the Klang II as a community recreation sailboat. 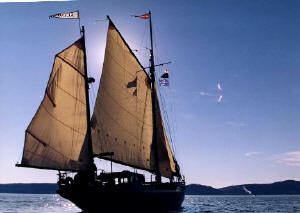 The Klang II was fitted and sailed from Essex CT to New York City for OpSail 2000. Klang has a mooring at Petersen's yard in Nyack NY. The boat was originally registered in British at the historic seafaring port of Falmouth and later in the Channel Islands at Jersey. 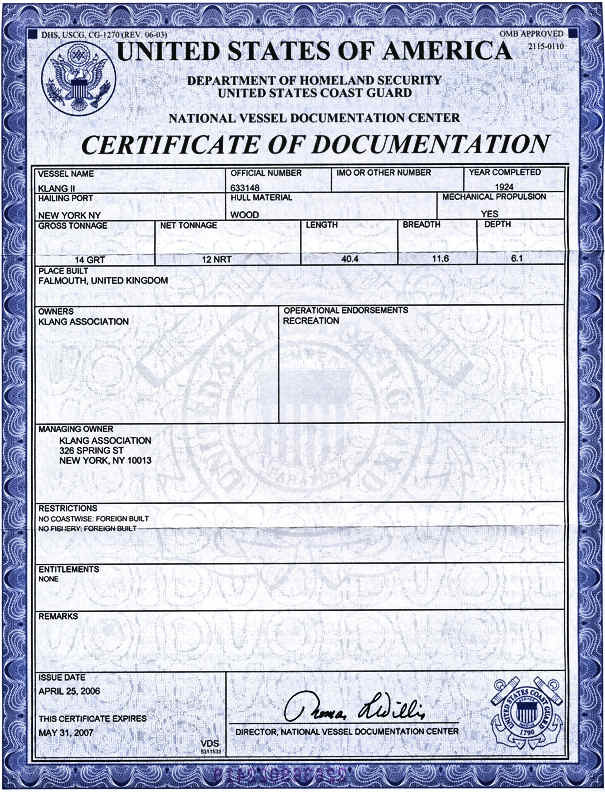 Klang is now registered with US Coast Guard Certificate of Documentation # 633148, currently sailing out of Mystic, CT. The Klang Association was established as an un-incorporated recreational association under New York State law.